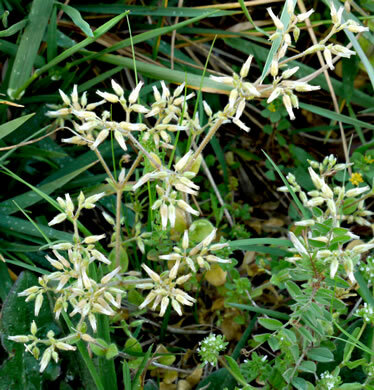 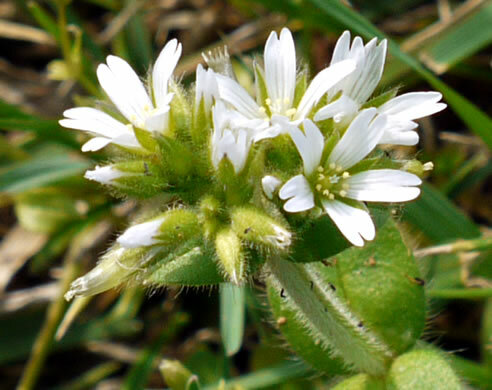 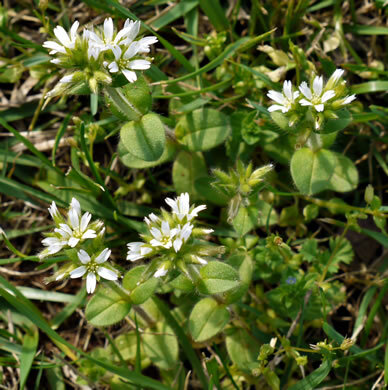 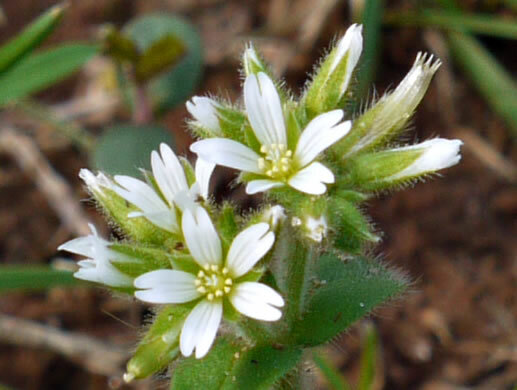 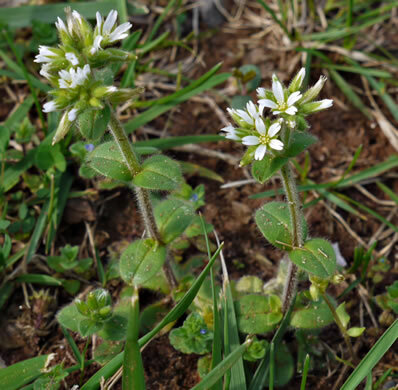 A tufted plant with many viscid-hairy stems up to 1' tall, per Wildflowers of the Southern Mountains. 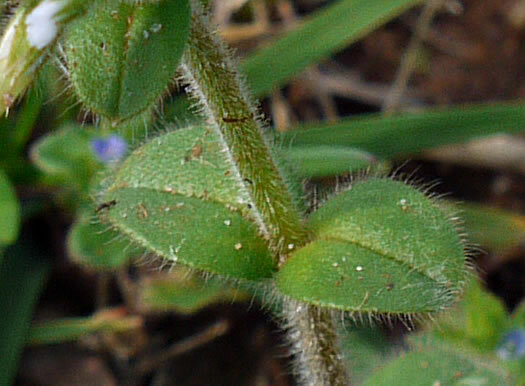 Sepals green, apex very acute, usually w glandular hairs & long white hairs, per Flora of North America. 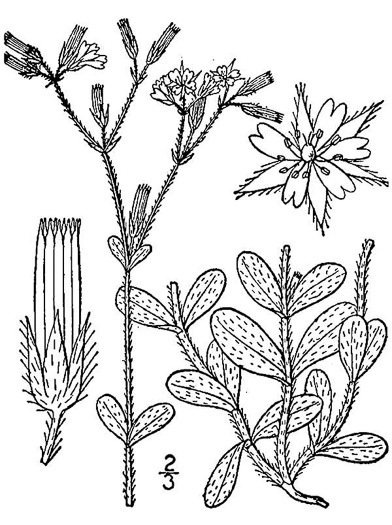 Leaves covered with spreading, white, long hairs, per Flora of North America.